Choosing a home loan isn’t as straightforward as it may seem. 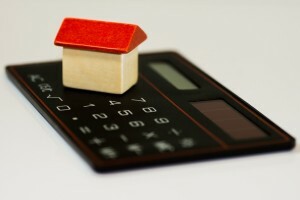 While many people looking at choosing a home loan will try to find the cheapest interest rate, there are a number of other factors such as fees and account features that need to be considered too. A low interest rate – When it comes to mortgages the less you have to pay in interest each month the better. Most lenders will have an advertised rate and a comparison rate, which takes into account the cost of the loan after fees and charges are added. You will need to shop around to find the best rate and possibly do some negotiating with your lender too, to get the lowest rate you can. What added fees you might need to pay – Look out for home loan fees and try to avoid them where possible, as they can add up. Fees to look out for include application fees, property valuation fees, annual fees, late payment fees, exit or break fees, redraw fees or account keeping fees, just to name a few. Any useful features – Some features can help you save considerably on your home loan. A popular feature is an offset account, which allows you to offset the money you have in it against your loan principal. Other popular features include flexible payment options and a redraw facility. Keep in mind however that these features can attract fees or a higher interest rate so they may not be worth it if they aren’t useful to you. Special perks – Lenders may offer special deals to help entice new customers over. These can include honeymoon rates (which are lower rates offered for a short period at the start of a loan) or other incentives such as frequent flyer points or fee waivers. These are all worth considering when looking for a good deal. Home loans can be tricky to navigate. If you need any help finding a home loan that works for you then get in touch with Professionals Finance.